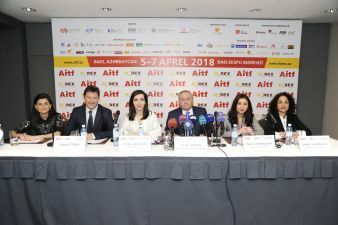 The press conference dedicated to the opening of the 17th Azerbaijan International Travel and Tourism AITF 2018 took place on 4 April at 12:00 a.m. at the Hyatt Regency hotel. The press conference was attended by Mr. Aydin Ismiyev - Head of Tourism Department of the Ministry of Culture and Tourism of the Republic of Azerbaijan, Mr. Edward Strachan – Regional Director of ITE Group, Ms. Jamila Guliyeva - Project manager and Ms. Nazrin Shamkhalova - Event Manager. 41 media representatives attended the press-conference from APA, ARB TV, Azertag, AzTv, CBC, ITV, 1news, Ses TV, TREND, Sputnik and others. 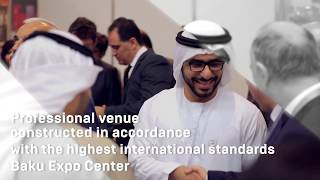 During the press conference journalists were informed about the innovations, participants and statistics.